News - Have you purchased any data recently? Was the data you just bought screened against the Telephone Preference Service (TPS)? If a supplier provides you with numbers that are on the TPS, ask them for the opt-in dates (even though people are on the TPS, they can still opt-in to receive marketing material, but the date of opt-in needs to be after the date they registered on the TPS. The opposite is also true i.e. if you have data, opted in or not, and they register on the TPS afterwards then their registration on the TPS (being the more recent event) counts and overrides any opt-in you might have at that date. If one of your customers registers on the TPS, this is different. If you have a relationship with a consumer, insofar as they could reasonably expect to hear from you, then you don't need to screen that data against the TPS. However, if you have a customer listing that is very old and you haven't spoken to in a while, then it may be wise to screen this against the TPS beforehand as they may not reasonably expect to hear form you. If you get an incoming enquiry on your website or over the phone from someone registered on the TPS, that's fine. 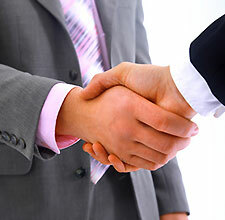 As the consumer has made an enquiry with you (rather than you cold calling them), you're fine to contact them. If you’re in any doubt - you can run your data through our free to use TPS Health Check. This will tell you if any of your records are registered on the TPS. Does your data supplier care about their data? This may sound like an odd thing to say, but people who sell junk cars don’t usually sell them with a new MOT and that’s probably because they wouldn’t pass the test. People who deal in data with no resources behind them don’t generally have the ability to care about their data and don’t generally screen it against the TPS before supplying it. TPS Screening is not only a responsible thing to do, but it weeds out some of the cowboys selling dodgy, out-of-date data and the regulators know it. You can call it a litmus test of your supplier’s data ethics. There are certain websites and social media portals that are popular for trading in data, but regardless of who your data supplier is, why spend money screening data before you can use it when you’re paying for it? * In August 2015 the ICO made a landmark decision in the Optical Express case about the acceptable definition of 'opted in data' in regards to electronic marketing. That decision will change the landscape of the data industry’s definition of opted in data forever. 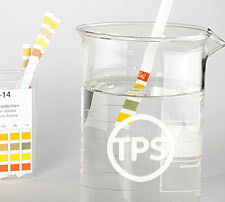 pass the TPS litmus test?